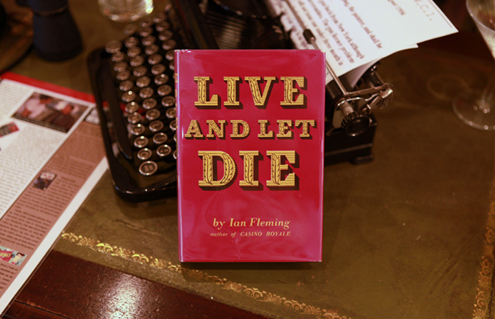 In June 1955 Raymond Chandler was visiting the poet Stephen Spender in London when he was introduced to Ian Fleming; Fleming subsequently sent Chandler a copy of Live and Let Die. He loved the book and offered to endorse it, which he often refused to do in the United States. Although readers usually associate Raymond Chandler with the mean streets of Los Angeles, the Chicago-born writer did, in fact, spend much of his early life in England. He attended Dulwich College in south-east London and later became a reporter for the Daily Express and Western Gazette newspapers before returning to the USA in 1912, aged 24.